When thinking about a new home, too many people forget that the elements affecting completion are in place long before the design concepts take shape. The site is the single most important item on this list, but there are others — the topography, orientation toward the sun and views, and vegetation. The best way to incorporate these elements into your design is to bring your architect onboard at the beginning — before site selection, if possible. This lets your architect evaluate each location’s potential and incorporate those insights and the visualization of ideas earlier instead of later, which is helpful to the overall process and your satisfaction as a home owner. One example of this is shown here, at the Blue Ridge Mountain Club (BRMC), just outside Blowing Rock, NC in the Blue Ridge Mountains. Our client had decided that the structure would be a passive energy design, which required a south-facing orientation. This meant selecting a parcel that combined the proper orientation while aligning with the dynamic views of the 6,000-acre development. The BRMC offers a long list of amenities, including preservation of more than half of its 6,000-acres and 360-degree views. Many of the parcels, while beautiful, have slopes that face north, east or west, making them less suitable for passive solar design. Our early involvement helped us narrow the options quickly. The selected site brings all of the most-desired traits together along a small ridgeline that rises parallel to the street. The access drive rises to a crest where the slope falls lightly away to the south/southeast, opening up to long-range mountain views and the beauty of the preserve. The ridge also added long-range views to the west. 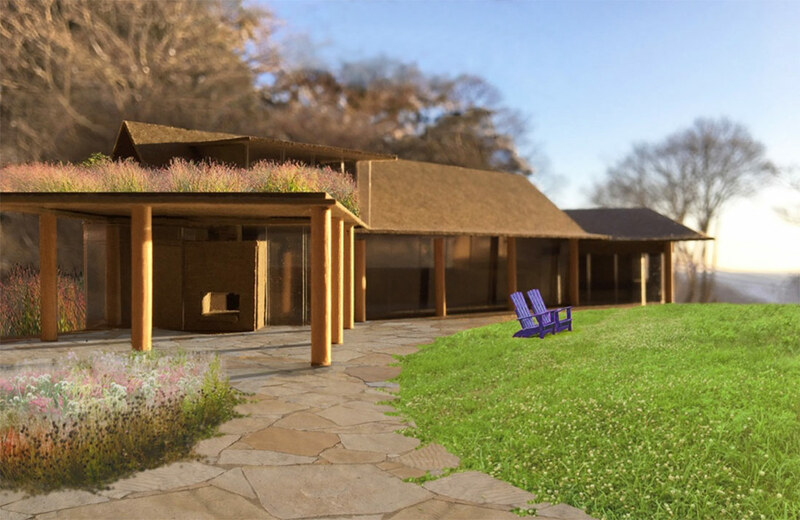 Our time on the site meant we could see how the ridge might be used as a north side insulating buffer that merged the structure with the topography, and then add this insight to our preliminary design concepts. The early model images show the long, solar-preferred east-west axis and roof ridgeline. “Pods” on each end integrate the overall composition into the hillside, while providing roof terraces for additional outdoor views. In this way, the design works with the form of the site while providing beautiful long-range mountain views of the winter sun. Our involvement in the site selection is what made this possible. If you’re thinking about a new custom home, we suggest that you bring your architects in at the start of the project. Their insight will help develop a property that unifies the land with what you want in your home.